Parrots and parakeets, even when inside a cage, operate in the security and cozy spaces of nooks. It could be their instinct to shelter themselves or secure a space for nesting. Perhaps the niches help to keep their body temperatures warm. 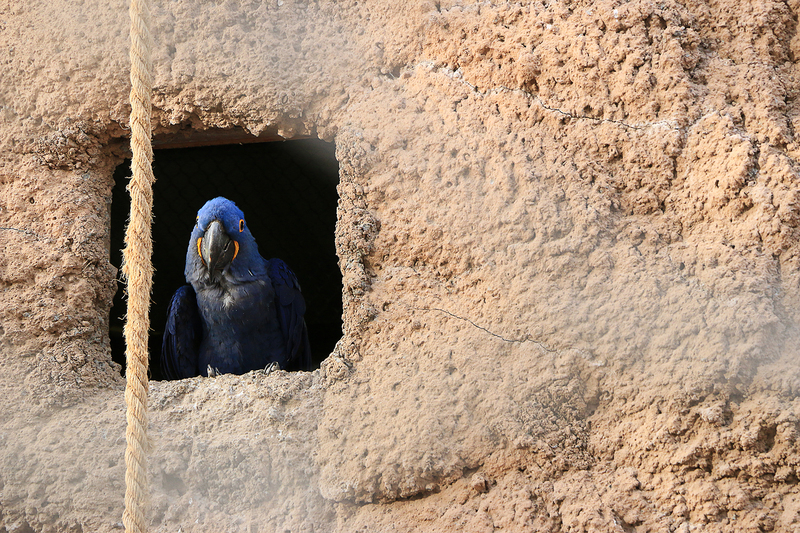 For several pleasurable minutes, I played a game of peekaboo with this blue macaw. It’s placement in the square window reminded me of how people in brownstones will sit at their street facing windows and hang out their heads to watch the action on the streets below.